We care about creating timeless outdoors for your joy and happy times. We guide people with the right advise that is perfectly tailored for them. By doing this we believe that we create a difference. Come visit us at the Armstone showroom in Glebe! Seamless Surfaces provides high-quality floor, wall and joinery finishes applied between 2-6mm to Sydney’s residential and commercial sectors. What makes our surfaces so unique is their versatility; we can apply our products internally and externally directly over a substrate of concrete, timber sheeting and even tiles to create a modern seamless finish. The hassle of removing and disposing of tiles is eliminated, not to mention the mess and costs involved. 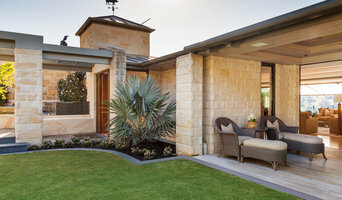 Kellyville Landscape Supplies have been in business for over 25 years and supply sandstone cut to order for residential, landscaping and commercial applications. From pier caps and pool coping to the larger scale building blocks for building. We can provide rock faced, sawn, bevelled and bull nosed finishes. 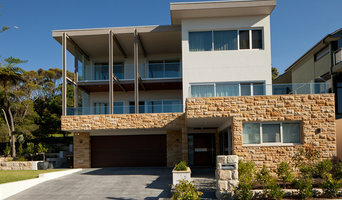 We supply Australian rock faced or sawn sandstone cladding as well as a range of natural stone cladding. An addition to our range is the popular Himalayan tile in Mint, Mixed Swirl in natural or honed finish and finally Teakwood in honed or sandblasted. 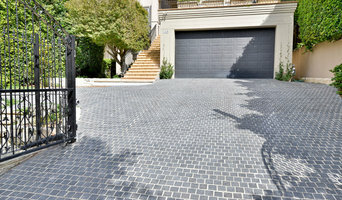 Cinajus is a natural stone supplier based in Sydney. We have been in operation since 1999. KMA Concrete Constructions is a concreting and excavation company located in Sydney, NSW. Positioned among the leaders in the building and trade industry, working with some of Sydney's most reputable builders, KMA Concrete Constructions proudly delivers excellence in concrete application, design and construction. With over 20 years’ experience and employing some of the best concreters in Sydney, your project will be completed quickly, efficiently and to the highest quality. We service both small and large contracts, and are committed to providing high-quality concrete and excavation services utilising the latest equipment and techniques. With a diverse portfolio of domestic, commercial and industrial clients, we have an enviable record of reliability and efficiency. Our experienced team is qualified and industry-certified, and we proudly set and maintain the very highest standards in product and service delivery. Residential and commercial concreting: Quality concreting design, application, construction and excavation for house slabs Quality and value: Our experience, combined with the latest equipment and techniques, ensures we are efficient and quality-driven Committed customer service: The KMA team is as invested in your project as you are. From conception through to completion, we’re a true, collaborative partner Guaranteed workmanship: KMA engages the best concreters in the industry, uses the very best materials, and employs the right practices, so we stand behind our workmanship Servicing all areas of Sydney: From Penrith to the Blue Mountains and across greater Sydney, we’ll look after you. We offer unequalled skills and expertise, and work closely with our clients to determine the most appropriate strategy to meet their desired outcome. Our focus on quality assurance ensures that our work complies with all relevant government regulations and industry requirements. At KMA Concrete Constructions, we pride ourselves on providing innovative solutions to any challenge. Geostone is a new brand launched by Holcim, one of the world's leading suppliers of cement and aggregates. 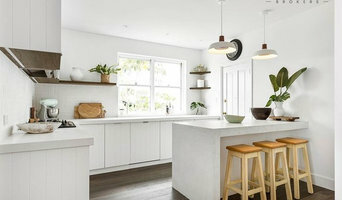 This range is designed and developed to assist homeowners, architects, designers and builders create spaces that are both beautiful and functional. Geostone offers a selection of exposed, polished, honed and coloured decorative concrete variants, at least one of which is bound to suit your taste. Licensed stonemason with over 33 years of experience in all aspects of natural and engineered stone. 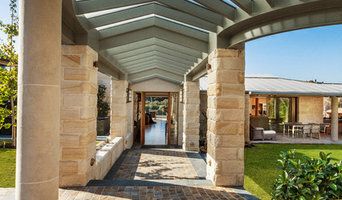 Bellstone has been a leading supplier of premium natural stone Australia-wide for 25 years. Our products are carefully selected from quarries around the world and are all independently tested for quality. Our knowledge of stone and the way we help customers, makes us unique. We supply stone for interior designers, architects, builders, landscapers and home owners and offer a range of products including natural stone tiles, pavers, cobblestone, flagstones and treads for use indoors or outdoors, on walls for cladding or around the pool. Visit our website to see our range of products or to discover a wealth of information on all things natural-stone related, or visit our showroom and warehouse and speak with our team of experts. De som jobbar med marktjänst i form av sten i Waterloo kallas ofta och enkelt nog för stenläggare eller plattläggare. Deras jobb kan vara allt från att lägga sten i en trädgård till asfaltläggning och ta bort asfalt på motorvägar. Uppgifter både för privata hem och publika platser, helt enkelt. Lite beroende på vad du behöver hjälp med för typ av stenprojekt så finns det ibland därför olika företag att vända sig till. Visst finns det de som har koll på det mesta inom sten och plattor, men sen finns det också de som specialiserar på till exempel stenläggning i trädgårdsdesign. Vem som passar dig och ditt projekt bäst kan du nog känna efter själv när du kollar runt bland passande stenföretag. Visste du förresten att stensättning är den skandinaviska forntidens vanligaste typ av gravöverbyggnad? Ja, det stämmer, från yngre bronsåldern till yngre järnåldern packade man sten i några enstaka lager, oftast i en cirkel, över de döda. Tekniken är faktiskt inte alltför olik den teknik vi använder som stensättning i Waterloo, NSW, AU idag. Intressant! Nu är det inte mycket mer kvar än för oss att säga att vi hoppas att du hittar rätt person för den typ av tjänst som du behöver få hjälp med, oavsett om du ska lägga en ny garageuppfart eller ta bort stensättningar på ditt landställe. Lycka till med att hitta rätt expert inom beläggning, sten och betong i Waterloo, NSW, AU!